47146 hauls 55007 south through Woolmer Green with the 08:07 York to Kings Cross. 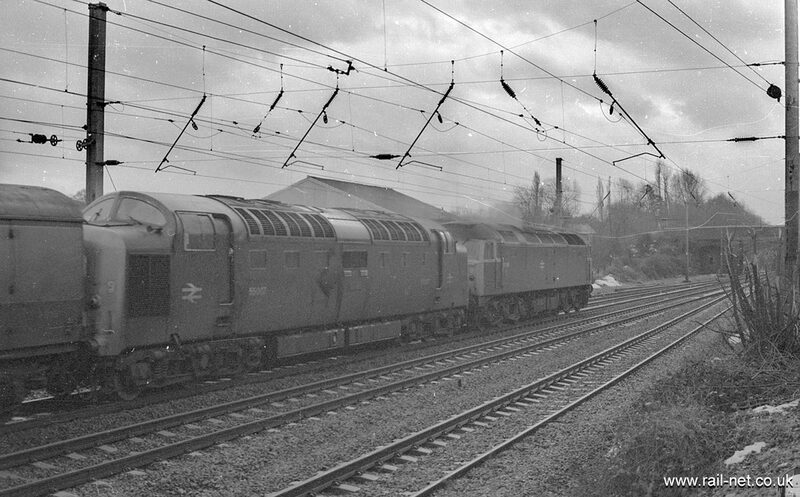 Pinza sadly expired at Doncaster and was assisted to Kings Cross by 47146. The 55007 was withdrawn the next day. 47146 was also a rareity in these parts being based a Landore in Swansea at the time.